I’m searching for an Animal Adventure small pink poodle. I need a backup for my daughter. I have been all over the internet and can’t find one. I even emailed the company itself, and they don’t sell directly to the public. 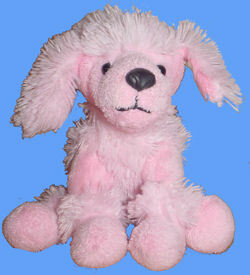 If you can help Kari find this Animal Adventure Small Pink Poodle Dog, THIS SITE IS NO LONGER ACTIVELY MANAGED. Please use Our FREE FACEBOOK GROUP, including #100608-1 in the subject, . Did you find? Have access to one- maybe! Think this is your dog if still looking. Ebay #370509494145 buy now or best offer.